The best way to advertise and promote your business to public. Printed on 13oz premium Scrim Matte and Glossy vinyl one sided. Banners are printed on digital printers using Eco-Solvent inks. The vinyl banners are sturdy or taped and durable with up to 1 year outdoor and 2 years indoor use. Banners are sent out hemmed and grommeted with brass grommets. 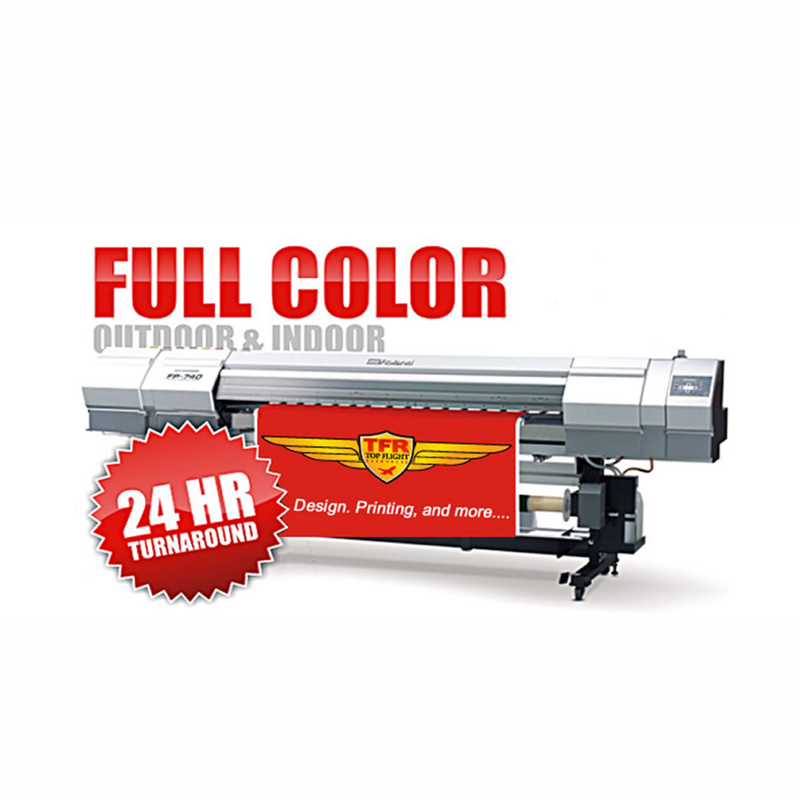 Banners are printed within 48 hours and shipped no later than 5 business days after your order has been approved. Based on the information you provide, we will layout and typeset your banner. We will choose images from our archive, or you may send us your high-quality images.